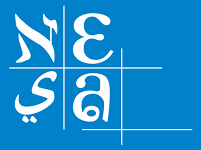 Two weekends ago NESA, the regional professional development association for international and American schools in the Near East and South Asia conducted its annual Fall Training Institute (FTI) for teachers. Among the many teachers in attendance - in a variety of strands - were a number of ASD teachers who were there to develop their skills and collaborate with professionals at other schools in meaningful ways. This year's FTI also marked the beginning of a new era of sorts for NESA through the creation of a NESA Collaborative on Service Learning, Sustainability Education and Global Citizenship aiming to engage schools in more meaningful, authentic learning as well as developing what we, at ASD, call critical consciousness. Following a great weekend institute with Mike Johnston (Head of School at Colegio Maya in Guatemala) on systems thinking, sustainability education and service learning, the six members of the newly formulated NESA Collaborative met to define the direction of these educational approaches regionally. Representing the American School of Dubai was Laurence Myers, K-12 Service Learning Coordinator. Generating a great deal of support from the NESA administration, the Collaborative's work resulted in a visionary statement of purpose and professional development recommendations for the coming academic year. Though this was a small step in terms of immediate impact, it was none-the-less an important one in re-defining educational opportunities for our students by promoting deeper understand of the world through systems thinking, connections between our curriculum and the world around us, and establishing a more direct learning for our children. By focusing on their ability to make change around them through systems thinking, especially as it related to Sustainable Development Goals, students can more meaningfully engage in "think global, act local". The larger 'take away' from both the institute and the Collaborative's work was the fact that service learning cannot be regarded as a niche educational process but, as a connector of curricula, outcomes and strategies, it can and should become a valuable tool in all schools across the region and around the world.